Sitter: Mary Dorothea, Countess Waldegrave (1850-1933), n�e Palmer. Biog: D.B.E. 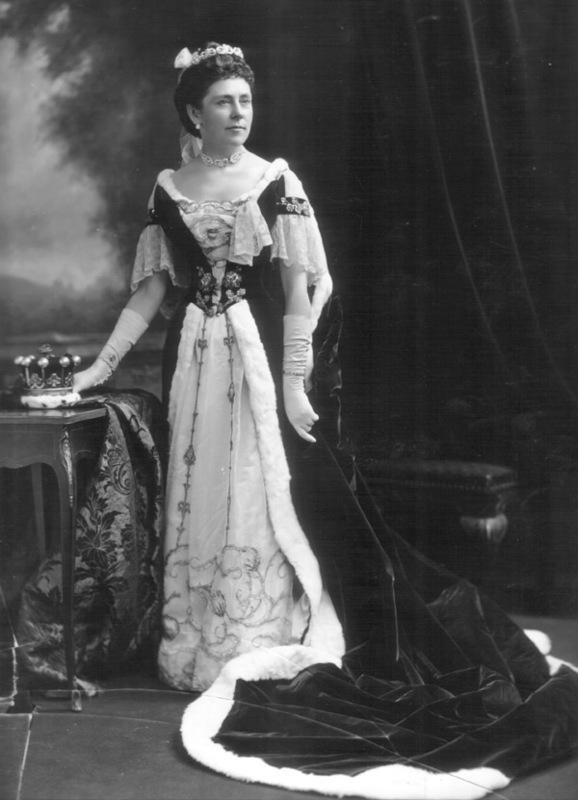 1918; daughter of 1st Earl of Selborne; m. (1874) 9th Earl Waldegrave. Costume: Coronation robes of a Countess. 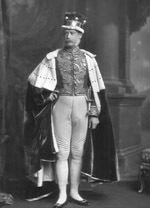 Biog: Burke's Peerage; G.E.C. (G.E. Cokayne) et al, ed., The Complete Peerage, (new edition), Gloucester, 1987; A. Winton Thorpe ed., Handbook to The Most Excellent Order of the British Empire 1921, (facsimile edition), London, 1988, p 529; The Times, 10 November 1933, p 16e. Reproduced: (Version) A.C. Fox-Davies, ed., Their Majesties' Court 1906, London, 1907, plate 35.